Topical retinoids have been shown to improve the skin’s texture and the appearance of fine lines. So, for those looking for potent anti-agers, retinol is the one must-have ingredient to help keep skin young. Obagi Retinol 1.0 is the must have Retinol and only £42. Squinting in the sun can contribute to those crow’s feet, so always sport sunglasses with UV protection. The skin around your eyes is the thinnest, so it shows the first signs of aging. Even if you’re in your 20s, preventative care now will keep your eyes looking healthy for years to come. There are thousands of reasons why smoking is bad for you, but did you know second-hand smoke can also be harmful to your skin? Though you may not be lighting up, being around smokers can cause skin sagging and speed up the wrinkle process. 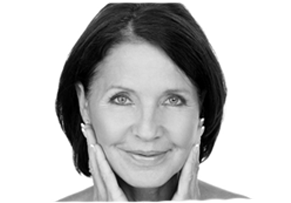 Skin cells are some of the most rapidly rejuvenating cells in the body. Take away adequate rest, and they suffer. The body depends on sleep for every single thing it does. When skin cells don’t turn over quickly enough, our skin looks dull and lifeless, and so do we. If you have dull skin try our Obagi Blue Peel Radiance – a peel you will love!! Having regular facials can be a treat for us, but more so for our skin. Medical facials are proven to improve tone and texture, increase collagen stimulation, and give us that glow that we always wish to have. Changes Signature Facial does just that!! At just £69 the facial is affordable, which means we can have more regularly. We recommend every 4 – 6 weeks. Boosting circulation to the thigh area can minimise the look of cellulite. When your next in shower, spend an extra minute rubbing your thighs with a smoothing scrub. In addition to this, try out our Fat & Cellulite Reduction treatment CLICK HERE to find out more. Select products based on your skin goals, not fancy packaging… Try them out for six to eight weeks before you decide whether or not they are right for you. We offer Skin assessments free of charge so why not start now and book in with our experts?